Geographically, Pakistan is a climbers paradise. It rivals Nepal for the number of peaks over 7,000 meters and is home to the world's second tallest mountain, K2, as well as four of the world's 14 summits higher than 8,000 meters. 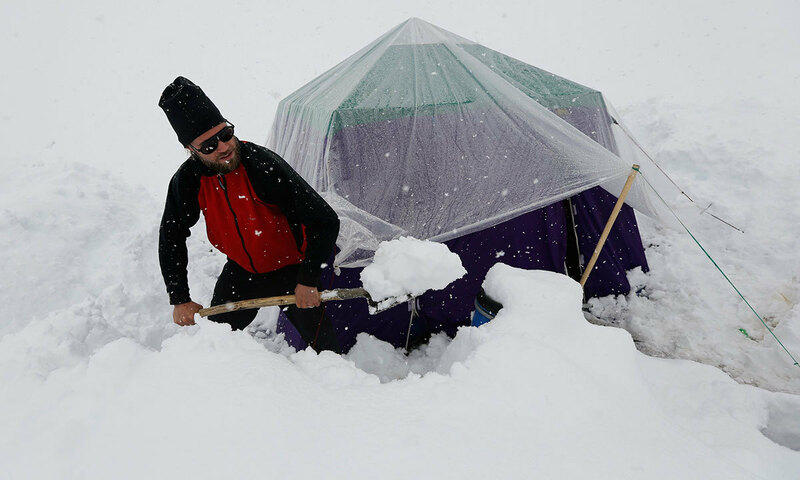 While other parts of Pakistan and northern India were flooded last month, Concordia in the Karakoram mountain range was covered with a seasonally unusual amount of snow. 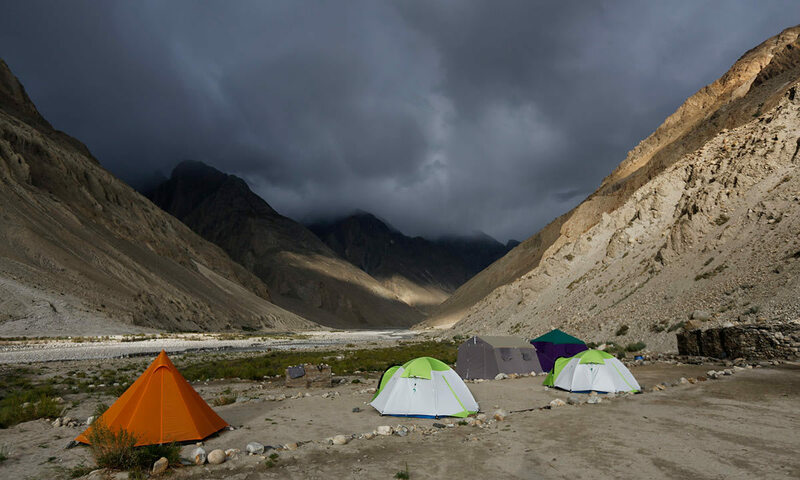 In more peaceful times, northern Pakistan's unspoilt beauty was a major tourist draw but the potentially lucrative industry has been blighted by years of violence. 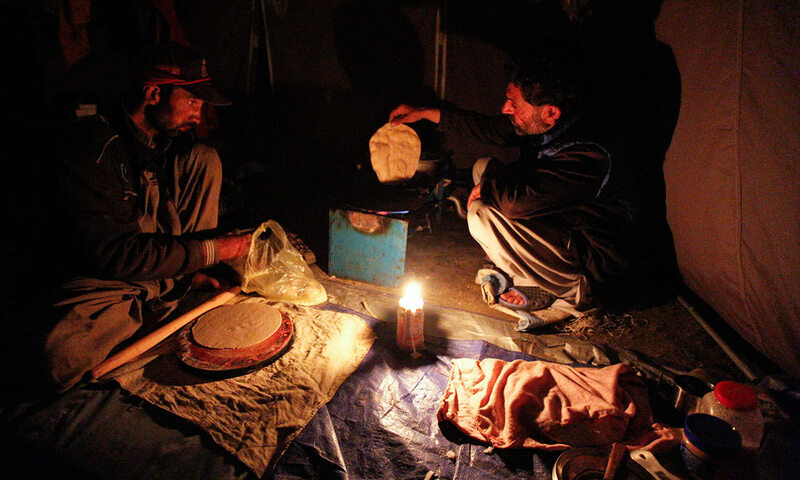 The number of expeditions has dwindled, wrecking communities dependant on climbing for income and starving Pakistan's suffering economy of much-needed dollars. Agree pakistan has many beautiful places and tourism potential. only need to make country safe from militant extremist to attract tourists. Thank you for wonderful pictures. Now we need peace in that region. Truly splendid photographs and it brings back such fond memories. There is something stirring in the four elements of nature. Nothing perhaps is as majestic as these great mountains, as serene as the calm waters of the lakes like SaifulMalook perhaps with moonlight rippling through it, as exhilarating as the pure rarefied and unpolluted air of the peaks. If one can afford a fire, you have all four elements to marvel at. I would be remiss if I were not to acknowledge the hospitality of the generally impoverished but remarkably hospitable people of these areas. 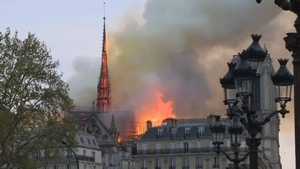 The scourge of terrorism has hurt them more and it is painful to see that they suffer even as they had so little to begin with and uncomplainingly led a life which had so few material joys. Mashalla Alaha may bless Pakistan and people of Pakistan. @Ahmed USA and you choose to live abroad!! Where are all those hate mongers Indians? They are dumb now to say any thing about some beauty we have which Almighty has bestowed upon us.Now you know how jealous they are. 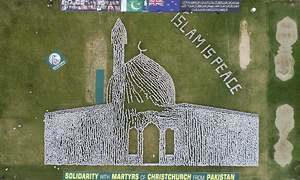 Magnificent pictures and I wish Pakistan get rid off the scrouge of terrorism. Peace and security will encourage worldwide tourists. Moreover, many overseas Pakistanies will certainly contribute to the economy of the region. @Jo-We don't choose to live abroad, there is no sense for living there. 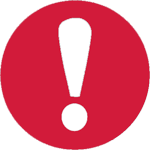 Everything is completely collapsed and non of the system is working properly. You tell me if i should live there with fear and aggression 24/7 or should i live a peaceful life abroad and pray for the country and the poor people of the country. Let's kick out all the corrupt politicians and find a common (peaceful) ground where everyone can live and breathe with peace. So far in the near future, it doesn't seems to be realistic. I would prefer living abroad, no matter how beautiful PK is. There is no doubt the country is beautiful but we are talking about only handful places, not everywhere. Wonderful article. 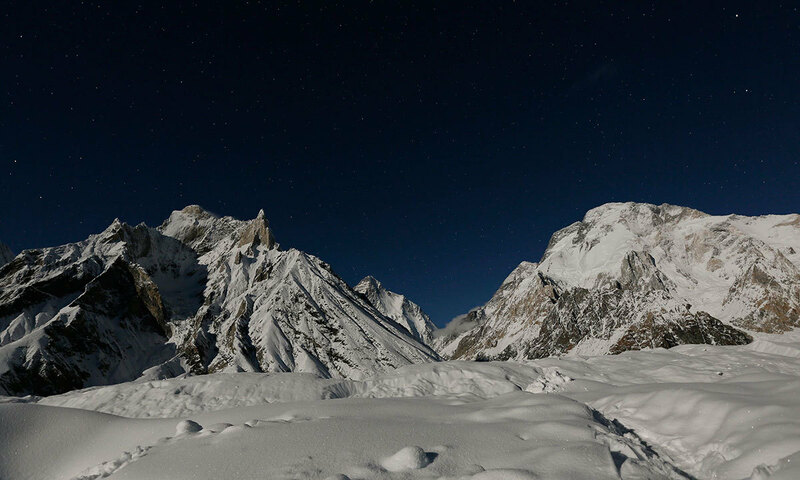 Pakistan is also home to FIVE of 14 mountain peaks over the altitude of 8000 meteres. India n Pakistan has so many beautiful places - if peace would prevail and free moment of citizens (tourism) within India and Pakistan would be immense. India - Pakistan good relationship is only beneficial. @RashidHSiddiqui There is peace in GB. Please dont confuse it with KPK. There has been a few cases of terrorism in history in this part of the world. It has remained peaceful since ages but people confuse GB with KPK. There has been isolated events from time to time but people living in GB are most peaceful and loving. Erie and beautiful. I would not mind leaving my soul in such valleys. @shaukat - Not every Indian hate monger as like not every Pakistani terrorist. I am trekker by myself and have scaled many Himalayan peaks. I would love to visit these places in Pakistan. These are absolutely beautiful places. I hope sanity prevails everywhere and people like me get to visit these places sooner than ever. Pakistan has God gifted beauties so concerned authorities should pay heed towards this treasure trove instead politicking, If we quote Indian example it earns bulky amount from Mughal Era constructed mansions, forts and other historical buildings. Terrorist factor also exist but it should not be on the cost of our tourism. Beautiful; a true paradise on earth! There are another mighty Hindukush range in the area, north of Chitral. The highest peak in this range is Terichmir, which lies at a height of 25,263 feet, just 36 miles away from Chitrāl town, is called the palace of fairies. No mountain in the region is less than 4000 feet. It is surrounded by the Wakhan, Badkhshan, Asmar and Nooristan area ofAfghanistan in the north, west and south-west. On its southern boundary lies Dir. In the east lies Gilgit Baltistan and Swāt Kohistan. Awesome nature. Beautiful pictures. Thanks. @A : It is us who are responsible for everything what Pakistan has become, and it should be only us who can bring back glory to Pakistan. If you do good, good comes back and if you do bad what do you expect in return? On daily basis we participate in acts like Bribery, unfair means, corruption, extortion, denial of others right, traffic violations, lies, jumping over ques, etc. Running away from problems will not relieve you from your duties. I also live abroad, but have never forgotten Pakistan, I send money through Banks, travel via PIA or SAI or Airblue, invest money in Pakistan disregarding small benefits for myself and every day pray for betterment of Pakistan so that i can raise my children in Pakistan where we practice different religions without any fear and where we are not treated as second or third class citizens. incredible photos, makes you proud to be a Pakistani. Looks good in photos but will be pure torture to be there...in freezing cold temperature...with no civilian facilities around...not for us Pakistanis...it's for Goras only...they are real adventurous souls. 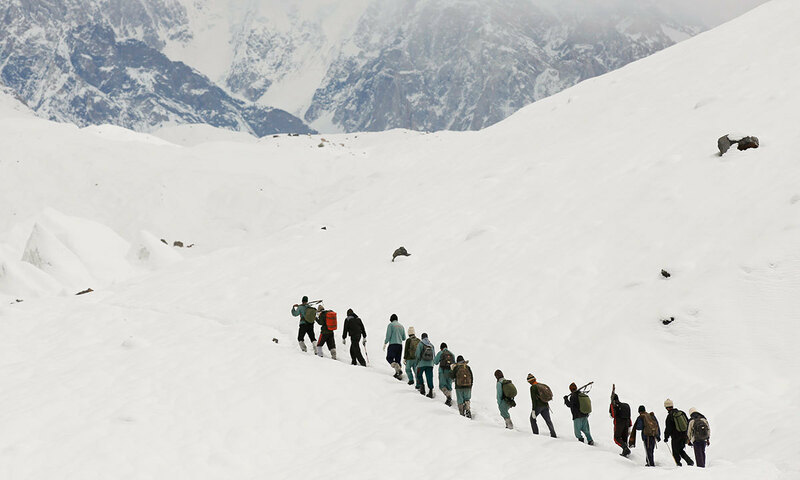 @shekahr YOu have captured our glacier Siachen illegally in 1984.
brings back memories. a sojourn, one etched in my memories (november 2010 to february 2011). The entire Hindu Kush in Afghanistan and Tajik areas to the Karakorum and Himalayan mountainous semi circle in Pakistan and India right up to northern Burma has some amazing views. Amazingly this mountains are still rising about 10 cm every year. For few comments from our friends across the border regarding militancy and terrorism. 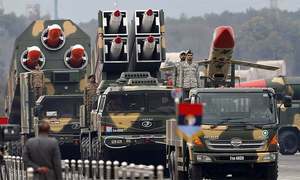 One has to remind them that military intervention started in 1984 when Indian Army's stealth advance was checked by Pakistan's military intelligence at Siachin. Significance of Indian move was to control all routes to the world's highest mountains. Indian government prematurely also issued a postal stamp showing K2 peak, hence proving to the world that K2 and other peaks belong to India. 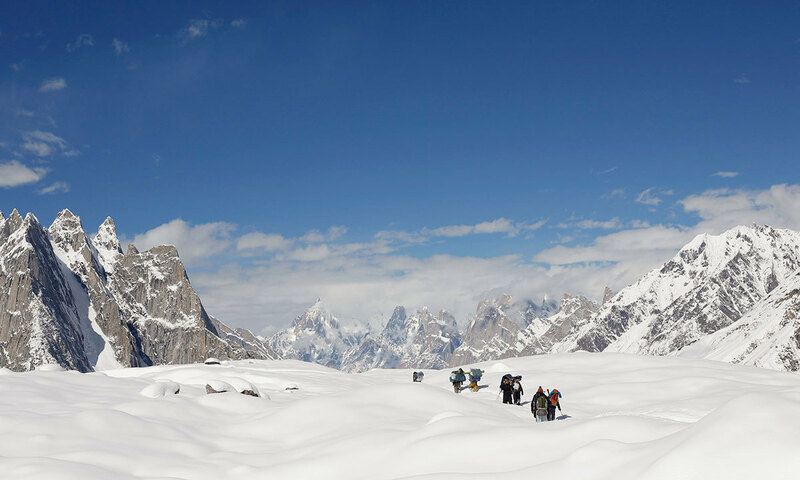 Historically and even today all international mountaineering expedition seek Pakistan's permission for scaling these magnificent heights and this cannot change due to geographical location. 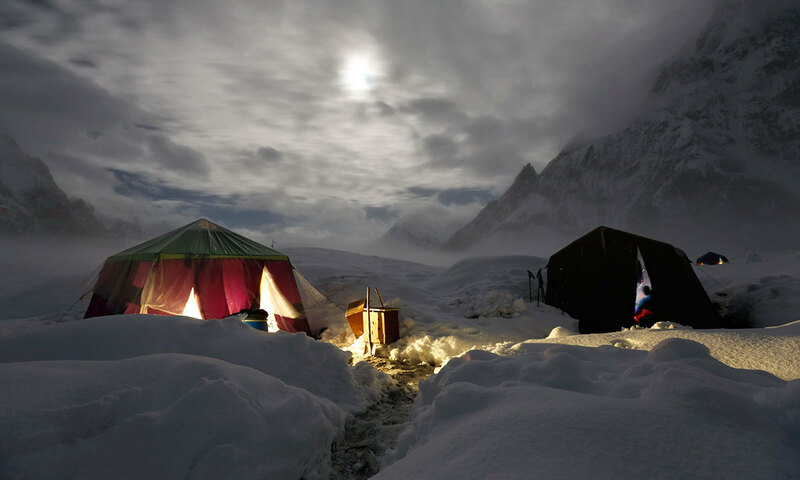 Baltoro is further north of Siachin glacier and is access to the mountain bases of K2, Gasherbrum series, several other peaks and most importantly Conway Saddle (knoll) where Pakistan Army's men guard the frontier. This important military post is a big hurdle for any further Indian expansion desires. At the moment, Indians are stuck nowhere. They can't move forward and cannot move back. Pakistan still has the authority over the peaks. Its a shame that military has moved in this area too. The pictures are from the summer season, one could imagine the winters when tourists leave and the landscape is left for the soldiers alone. @shaukat All these beauties are in area which is also claimed by India as part of Jammu & Kashmir. These places were never with Pakistan when partition happened. You are occupying some one else's land. Pakistan needs to work on the ground realities of strengthening peace and security on its land. 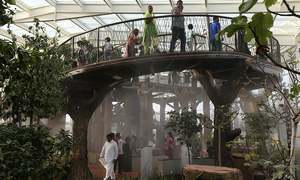 Pakistan can become hub of ecotourism. There are thousand of attractions around the country specially in the north. Pakistan is loosing billions of US dollars every year because the tourist opt not to go in this region because of the fear of insecurity. The peace and security can be prevailed only through binding the people togather by creating awareness and sence of brotherhood. Thousand of government run schools are needed in tribal areas which can impart modern education alongwith the Islamic values free of cost till 10th standards. Government shall make every effort to make basic and primary education free and compulsory. The shots are stunning. 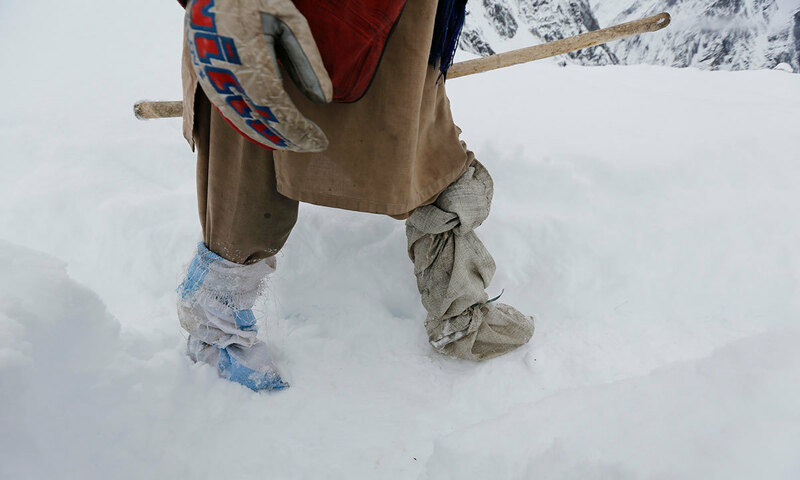 What is more striking is the lack of proper equipment and gear that the locals - guides and porters alike - have with them. There should be a department, outlet or some sort where they can get these for the trips if they don't own it themselves. wonder is there can be a way to arrange it on a voluntary basis? @None "Government should take measures for the safety of Porters. 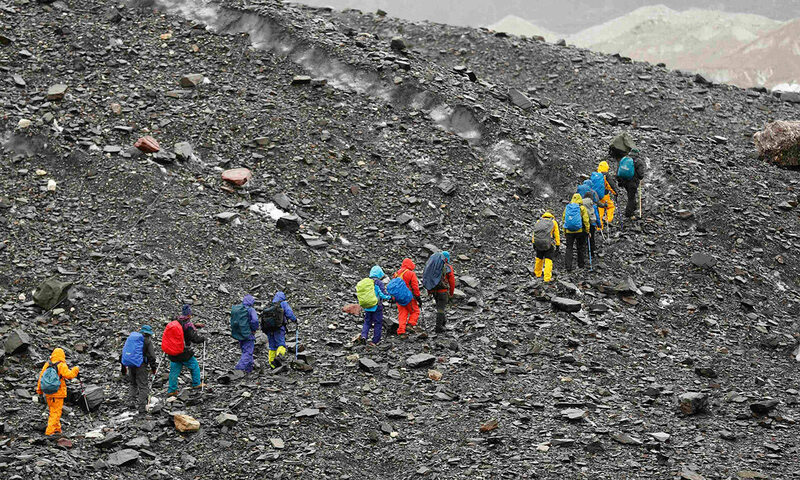 They must be treated equally like mountainers.."
Porters only accompany the mountaineers to the base camp. After taking the load they return while the mountaineers stay for a longer duration. 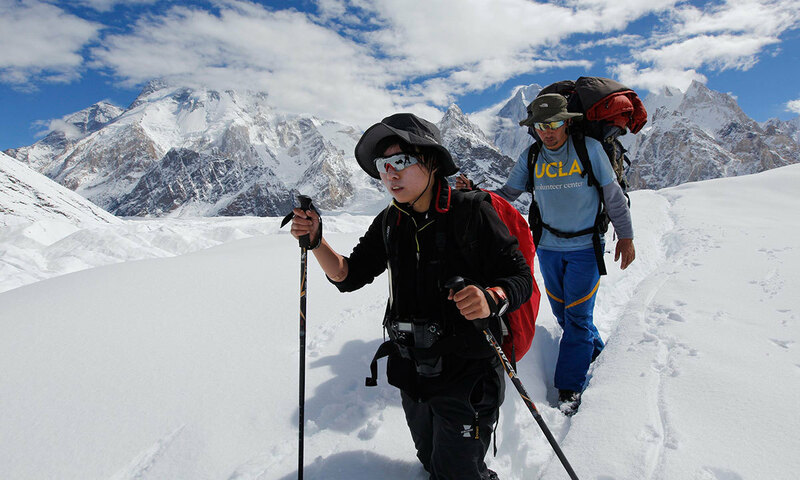 Expedition teams are bound to provide clothing and equipment to their Pakistani guides and team members who stay with them for the entire expedition. 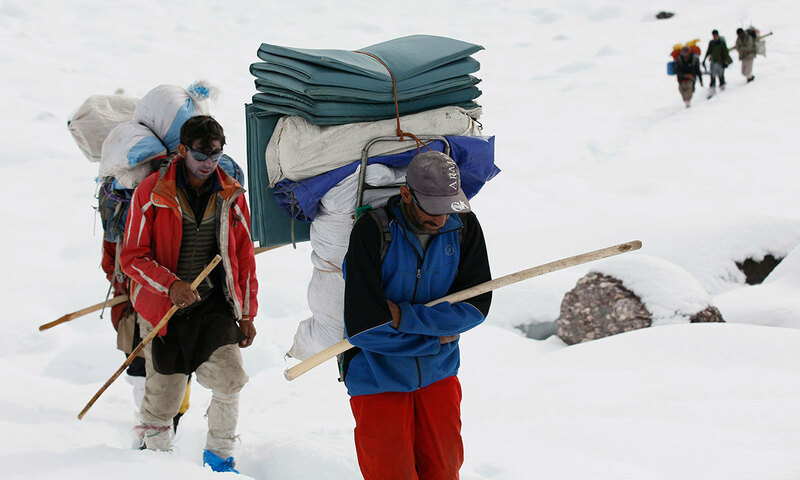 For the porters, there is a fixed rate and prescribed weight to be carried. Even their daily rations are kept along. Walk is treacherous and with distance the elevation rises. This rise in height makes the air very thin and one cannot keep a fast pace and a person gets out of breath. The mountaineering clothing and gear is cumbersome and heavy and locals prefer walking in their traditional light in weight clothes. Also with such difficult trek in a fair weather, one feels hot. Its only the evenings and nights one requires warm clothing when everyone is resting. Skardu bazar is full of mountaineering stuff and its cheap as well. Porters can get necessary gear as per their own liking. Real beauty. I have been there n know tht u can only realise d worth of Pak being there. May Allah protect us from all the evil eyes. @shaukat what was the point you wanted to prove through your comment? why you want to instigate hatred? I am an Indian after seeing these pics only one word crossed my mind "Pristine"
@Imran Sorry, I don't live in your country. make not make it back to your homeland. @deva in your dreams only. 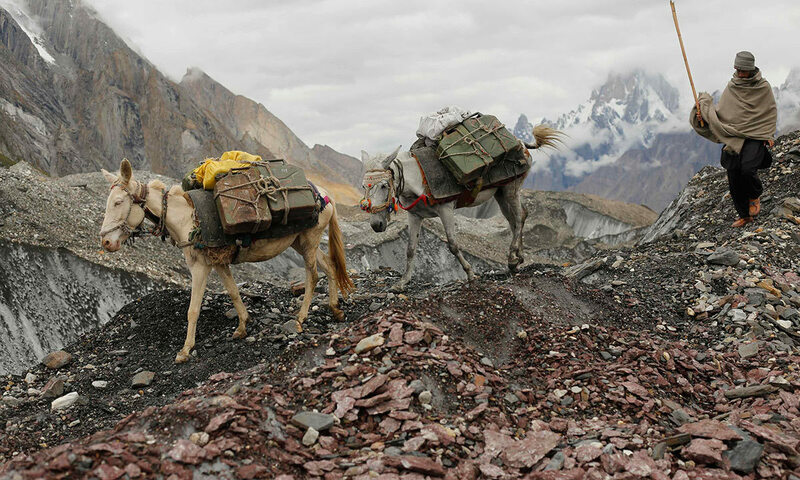 @ahmedj many mountaineers come every year Pakistan . why are u so jealous? @indian Hi-5 Pal May the sanity Prevail. "In more peaceful times, northern Pakistan's unspoilt beauty was a major tourist draw but the potentially lucrative industry has been blighted by years of violence." Northern Pakistan is still the safest and most peaceful place in the country, completely unrelated to the chaos of the other provinces. 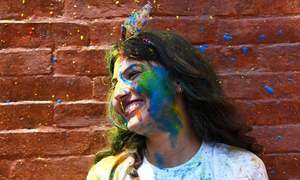 A one-off incident like the Fairy Meadows attack does not mean there have been 'years of violence'. @shaukat Oho hai. There are enough Indians commenting here. There is no reason to be jealous, such a childish thing to say. These mountains are lovely and I am sure there are other beautiful places too in Pakistan. Relax karo yaar. One cannot even enjoy such beautiful mountains without comments sinking into India/Pakistan nationalist nonsense. Our country Pakistan is spectacular in beauty. Simply bbrilliant, if only peace gets restored in Pakistan, it can become a tourists Paradise because there must surely be some other tourist attractions in Swat Valley, Karachi, Lahore, Islamabad etc. Pakistan has Awe inspiring natural beauty undoubtedly. It's a crying shame how our narrow minded leaders have time and again failed the nation to realise it's true potential!